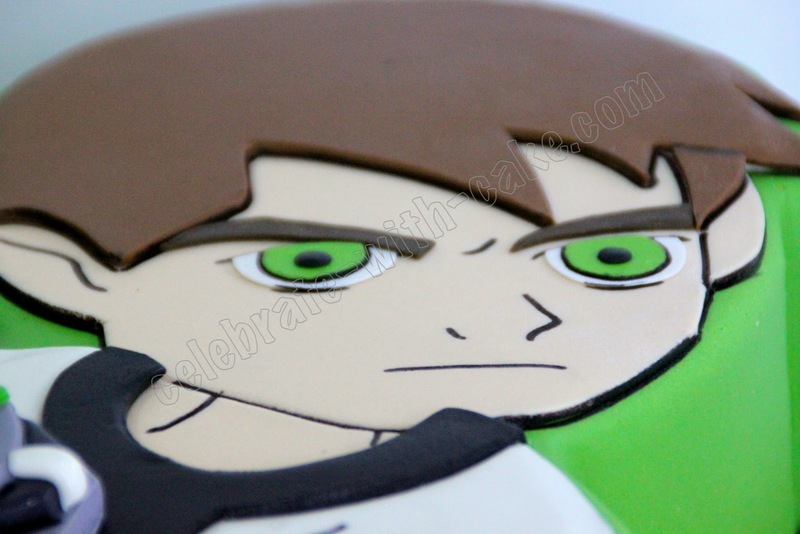 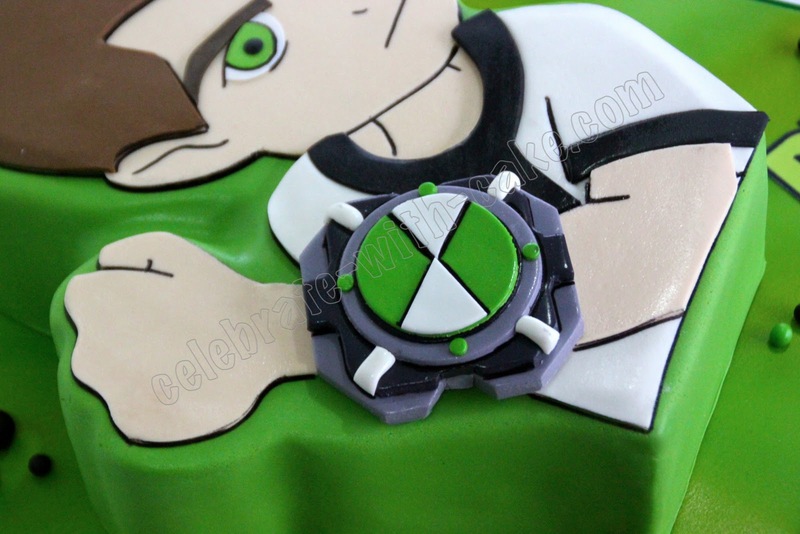 A, dropped us a mail and got us to make this Ben10 Cake for her little boy's birthday celebrations last week! 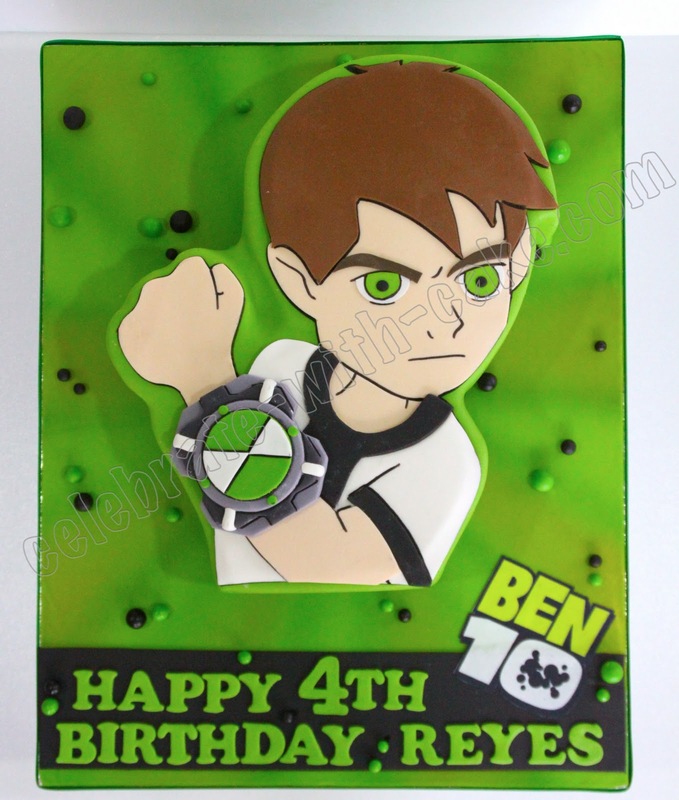 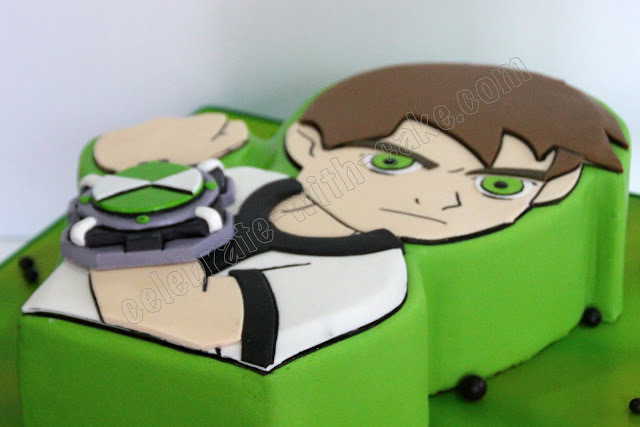 She requested for a 2D cake of Ben10 with his omnimatrix watch to be protruding out. 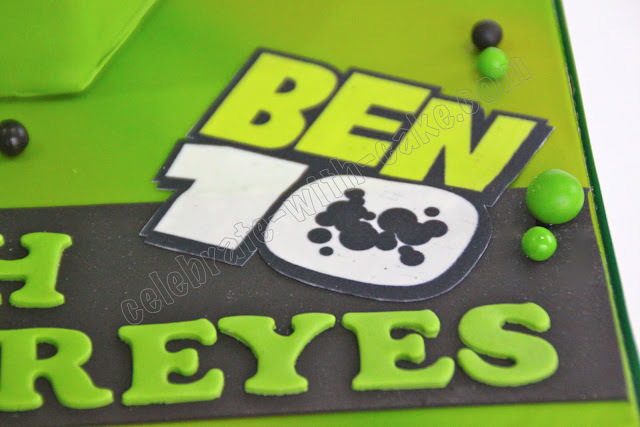 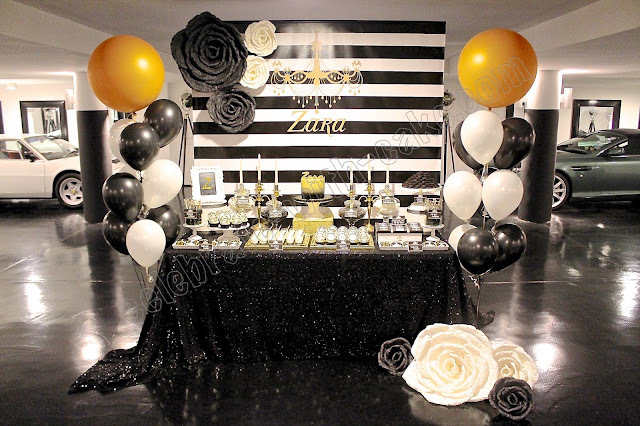 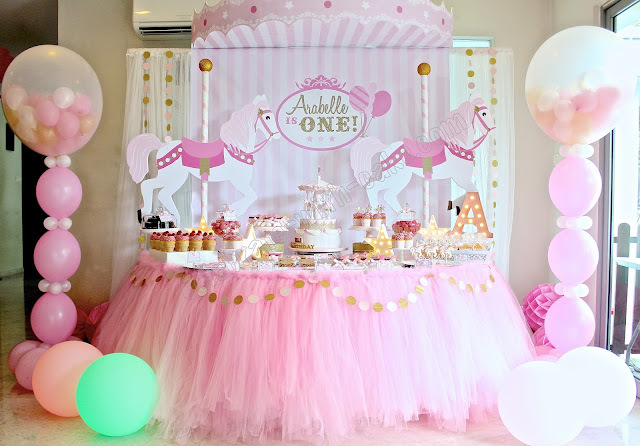 Cake was chocolate with vanilla chic chips filling.